Escaping the hectic nature of everyday London life is hard. The commute to work, the social engagements and the chaos of the office leave little in the way of 'me time' so it's important to carve this out in your calendar. Leyton locals are given an easy option, with the fantastic Pause Studio right on the doorstep. Offering yoga, pilates and barre to local residents, Pause Studio offer a tranquil escape to make sure you're feeling physically and mentally refreshed. Yoga has many benefits for those who practice it, including increasing muscle strength and flexibility, protecting your spine and perfecting your posture and reliving stress and tension build up on your joints, body and mind. There are also many medicinal benefits, such as lowing blood pressure, aiding digestion and aiding your general immune system to prevent illness. If yoga and pilates are something you've not tried before, maybe it's time to have a go and see if they can make a difference to you. Louise from Pause Studio tells us, "We are a small, friendly studio offering a brief respite to the demands of everyday life. Our ethos is that yoga and fitness is for everyone, and we mean it. 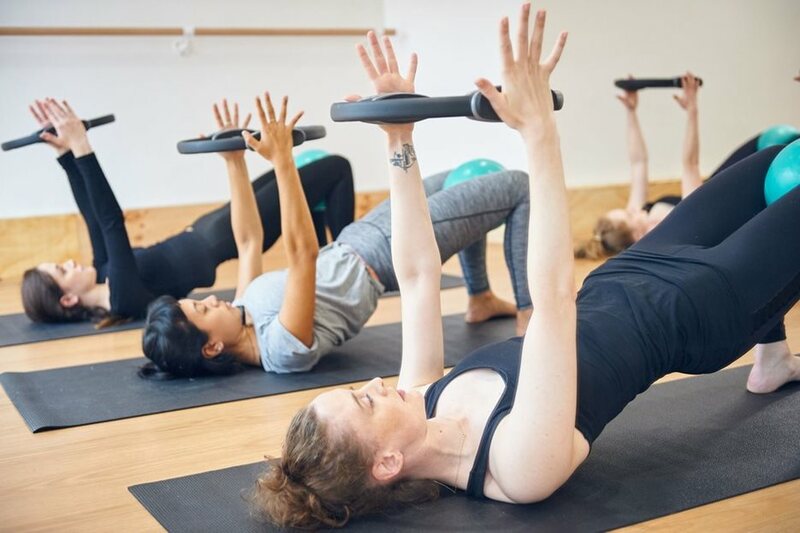 The studio is a relaxed, inclusive environment and with smaller classes our teachers can provide students with greater attention, making Pause the perfect space to practice, whether you're a complete beginner or an advanced practitioner." Yoga comes in many packages at Pause Studio, from beginner classes to yin yoga, restorative yoga and yogalates! This way you can make your class as slow and reflective or as sweaty as you wish. You can even mix it up and try a different class week-in, week-out. Furthermore, the team have incorporated family activities, so your little ones can benefit from the wellbeing that yoga brings too. Offering pregnancy yoga, parent and baby classes and toddler classes, bring calm and meditation into your time with your little ones and see the benefits it will bring to their everyday behaviour, health and relationships. As well as general classes, Pause offer workshops and courses for those looking for more of a journey through the exercises, to see maximum impact over time. Just some of the classes on offer cater for beginners to yoga or pilates, pelvic floor workshops, chaturanga workshops and yoga for those approaching menopause. These really helpful classes can aid in making you feel in control of your own body at difficult times. Whether you're a yoga regular looking for a new class to try or a first-timer needing that push to sign up to your first class, let Portico Places be a helping hand today. Here at Portico we're offering 10% off a 10 class pack at Pause Studio. To redeem this discount please contact the team by email on contact@pausestudio.co.uk and quote PORTICO.